Bready, Set, Art! is a 4 player competitive painting game where artists must compete to create the worst work of art in a limited amount of time. 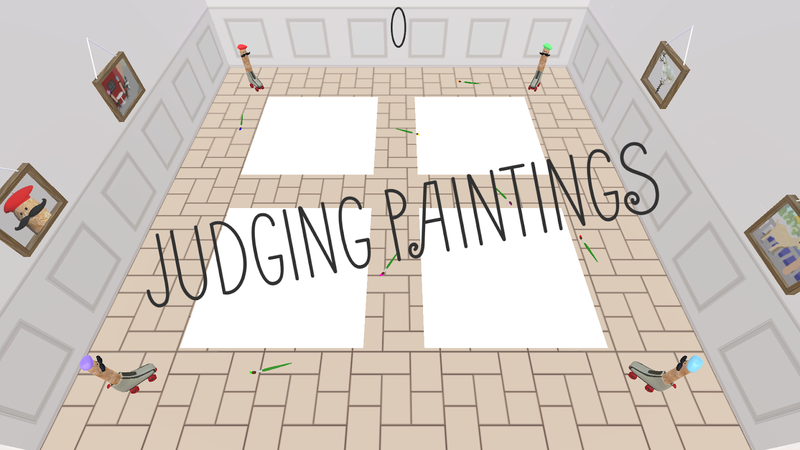 During the painting phase, players can roller-skate around the map picking up paint brushes of different colours and paint on their own canvas or others'. The paintings they create will be judged by art critics who will give them feedback on their work as well as a score.